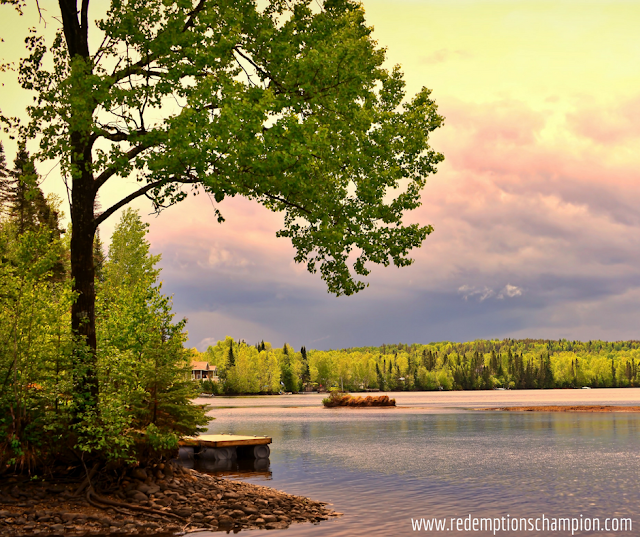 Redemption's Champion: What Does Standing Still Have to do With Trusting God? What Does Standing Still Have to do With Trusting God? On average we hear up to 52 sermons a year. If we visit other churches or listen online that number could easily double or triple so, in any given year we hear a lot of truth. Then, there is that one sermon, that marks us, shapes us, calls us to action and changes us forever. For me it was on Mother’s Day 2010. The kids and I had been studying Psalm 1 all year and it was not lost on me that this verse in Jeremiah linked trusting God to being like that tree planted by streams of water. In my life when I struggled the most it usually stemmed from not trusting God. The pastor said, “The God who made all things, makes all things new.” I needed to hear that then and now. We know it, but when fear comes, amnesia sets in. When the Israelites were whining in the wilderness and telling Moses it would have been better to serve the Egyptians he said to them, "Do not be afraid. Stand firm and you will see the deliverance the Lord will bring you today. The Egyptians you see today you will never see again. The Lord will fight for you; you need only to be still.” - Exodus 14:13-14 He was essentially saying "Stand still, the Lord is about to do something that will produce trust in your life." The Lord is saying the same thing to us. "Stand still and let me show you I am trustworthy, let me show you that I AM the God who shows up and I can be trusted." Running moved me out of a position to trust in God. I ran because things were scary and painful and I was afraid of pain, especially emotional. When I ran everything stayed the same (which was dysfunctionally comfortable), I could not see what God wanted to do and it produced more fear. Interesting how that happens, isn't it? The very thing that made me run was being strengthened by my running. it kept fear in place and reinforced my distrust. It was a vicious cycle. So, I resigned myself to go through the fire or the pruning if you will and God has been faithful to do His part. Now seven years later, some of these truths are my reality and the running, well I gave that up. There were many times during this sermon that I was deeply convicted because God was speaking directly to my heart and addressing the things that still kept me far from Him and who He called me to be. Before we left this church I began to trust so much in the church, pastors and people (of course I did not know I was doing this at the time), God had to take me out of there (a place I loved) and get me totally dependent on Him, so I would learn to trust Him and only Him (because He loved me). At the end of the service, do you know what God asked me to do? He asked me to go to the pastor and repent for placing my trust in him, the church and the people instead of God. I did it because I knew it was the right thing to do. I did it because the Lord asked. I did it because it required trust. Not many Sundays later the Lord released me to return to this place I loved, but only after recognizing and repenting for not trusting Him – it took a year and a half, but He's patient. I did not know the storms I would walk through later that year, but I can say with complete confidence this one day, this one sermon, this one act of repentance produced trust in me that I needed to weather them. Not only did that produce trust, but an amazing amount of gratitude. Where do you go or to whom do you turn when it comes to meeting the deepest needs of your life? All these needs are good, but we MUST go to God first! Read the following exhortation that ended the sermon and it was the merry-go-round that was my life. 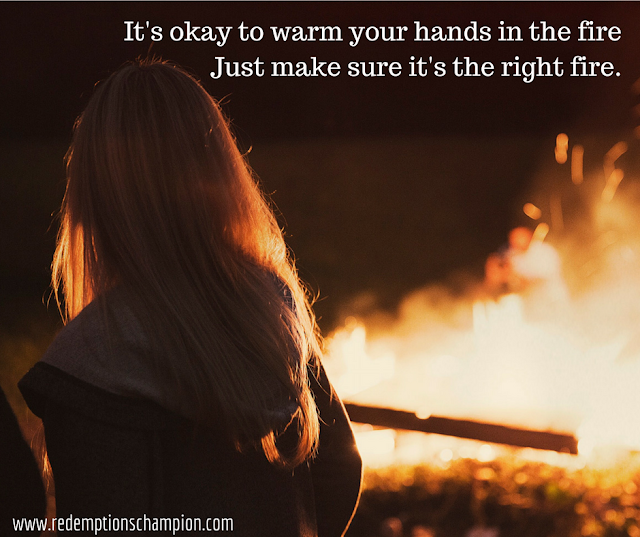 I have come a long way, but still have room for improvement in the area of trust, but this sermon, on that day was a turning point for me and I have never looked back. I am still learning what this trust thing looks like, and I am committed to trusting God to continue to work this out in me. I trust in Him to walk alongside me on this journey and remove the things that hinder me trusting Him and place things in me that enhance me trusting Him. The good news is because I am trusting Him I don't have to figure this out, He will! Amen to that! During the sermon the pastor asked this question, “Why did Peter warm his hands in the enemy's fire?” Mark 14:54 and the answer was, “because his hands were cold.” He had a real need, he just went to the wrong place to get his needs met, so it is with me and I for one am tired of warming my hands in enemy fire because I ALWAYS get burned!! !